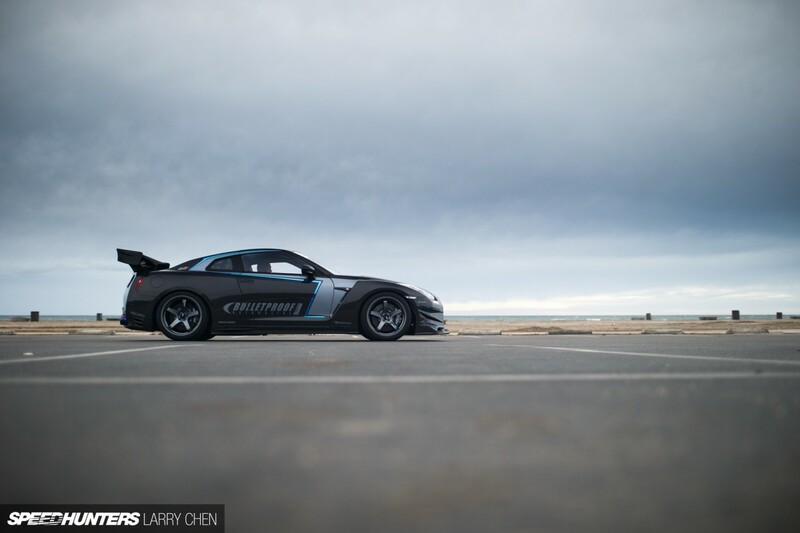 Is the Nissan GT-R a tuner car? If you consider all the highly modified versions of Nissan’s AWD monster out there, then yes, it certainly it is. But for me the GT-R has always sat on its own pedestal. If you take a popular Japanese car like the Honda Civic, Nissan Silvia or Mazda MX-5, you’ll find a lot of the appeal comes from their potential if not from their factory performance capabilities. Even a newer model like the Toyota 86 feels like it was designed to be modified from the get-go. There’s something great about that. But what about the GT-R? When the R32 Skyline GT-R debuted in the late ’80s it was a revelation. It might have been a car capable of outperforming the greatest sports cars in the world right off the showroom floor, but that didn’t stop tuners in Japan from quickly digging into the R32 and subsequent Skyline GT-R models to make them perform even better. 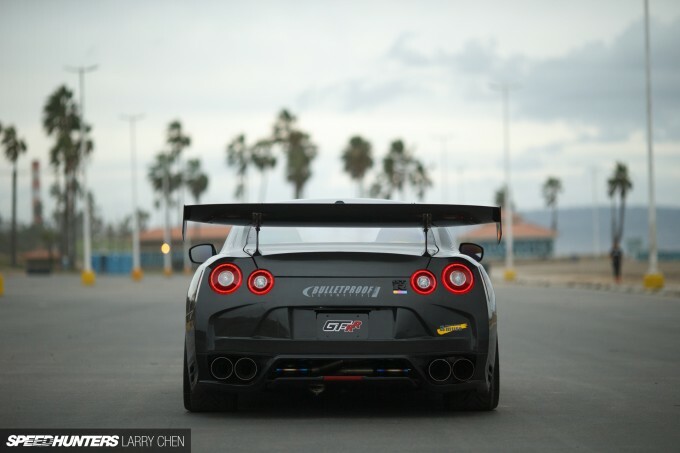 An entire culture sprung up around the legend of the GT-R. 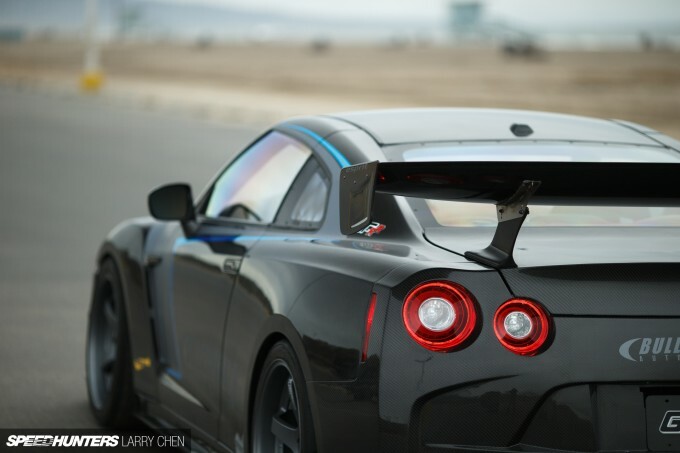 It was the same story when the R35 model debuted back in late 2007 – only more so. Once motoring journalists got hold of the car, they discovered that the GT-R was one of the fastest cars available at any price. Right out of the box, it was ridiculously quick, handled like few cars in the world, and its limits were way higher than anyone could hope to approach outside of a (large) race track environment. 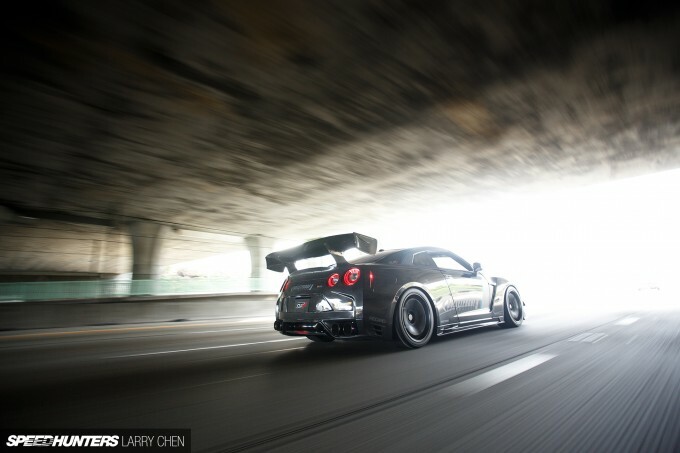 I’ve always thought you’d have to be a little on the crazy side to drive a car like the R35 and then proclaim ‘this thing just isn’t fast enough’. But plenty of people have, and it’s the automotive exploits of those crazy folks which we Speedhunters spend so much time writing about. 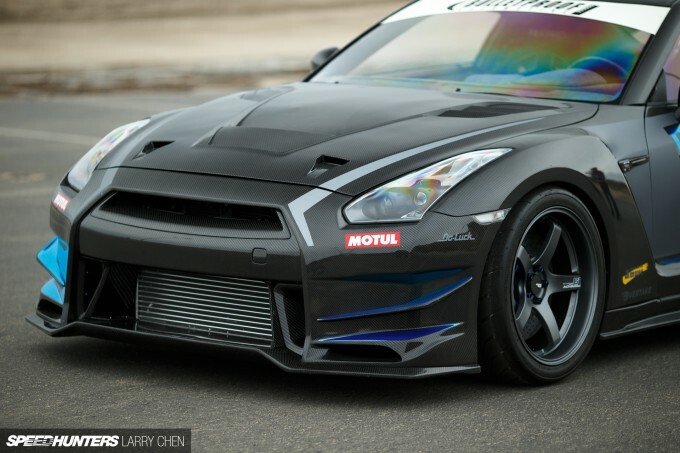 Within days of the R35 going on sale, tuners were already tearing into the car seeing what could be improved. 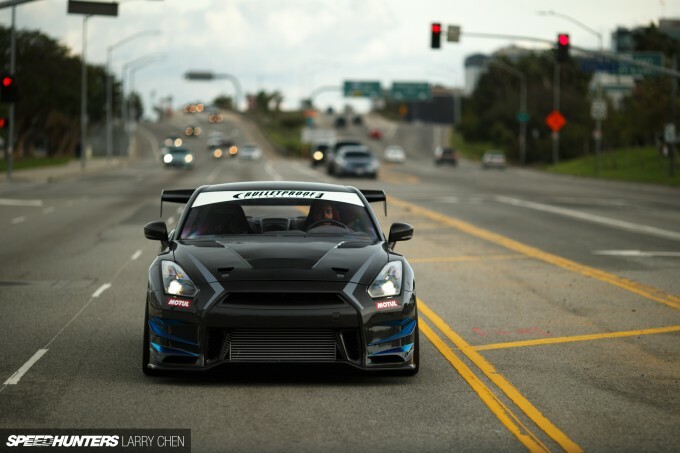 In the years since, builders from all over the world have been cranking out modified R35s. Some are simple bolt-on affairs while other have been rebuilt from the ground up. They’ve been used for everything from drag racing and drifting to time attack and standing mile events. 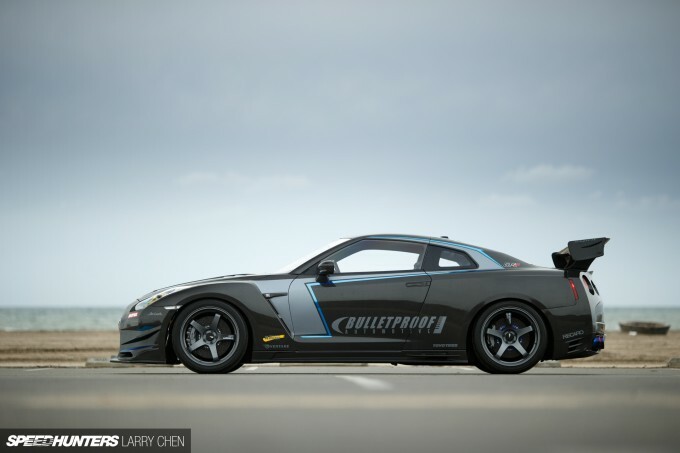 That brings us to Bulletproof Automotive, a company which has been distributing high-end Japanese tuning parts around the world for a decade and a half now. 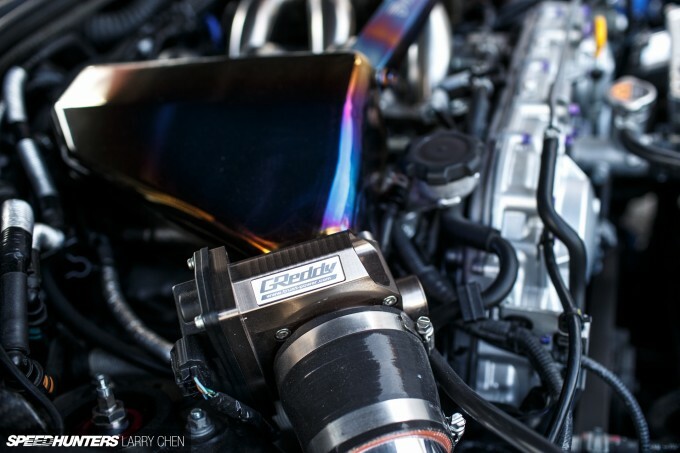 Over the years Ben Schaffer and the Bulletproof team have not only worked with Japan’s most respected tuning companies, they’ve built a number of cars to demonstrate these parts. 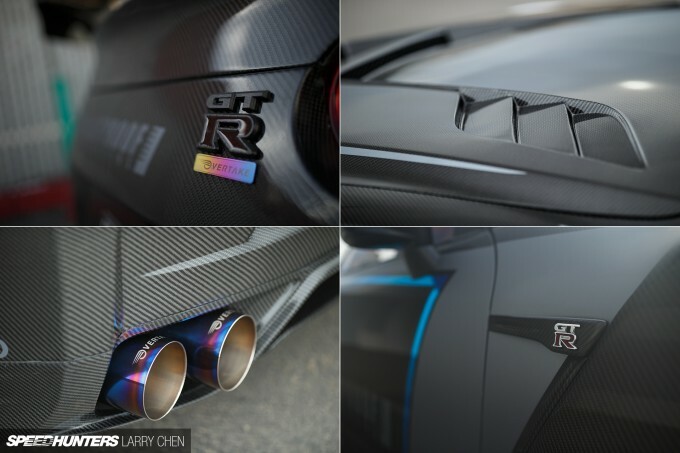 Bulletproof’s business grew massively with the launch of the R35 and the tuning market that surrounds it, and over the years they’ve built a few different GT-R demo cars to show off the goods. The car you’re looking at here might be the most impressive yet. While most would agree that the R35 GT-R is an amazing machine right out of the box, the largest downside to the platform is easily its weight. The car is blindingly quick, but it still lacks the agility and reflex that some might expect from a world-class performance car. 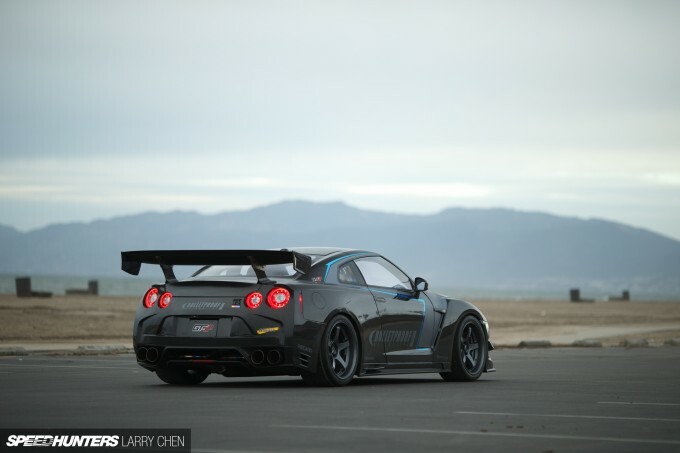 So when Ben and the Bulletproof team started to plan out the idea for this 2012 R35 known as the GT-R SPL, weight savings was at the top of the priority list. Of course, the cheapest and easiest way of shedding mass would be to strip out the interior and remove creature comforts, but that’s not what Ben wanted to do. 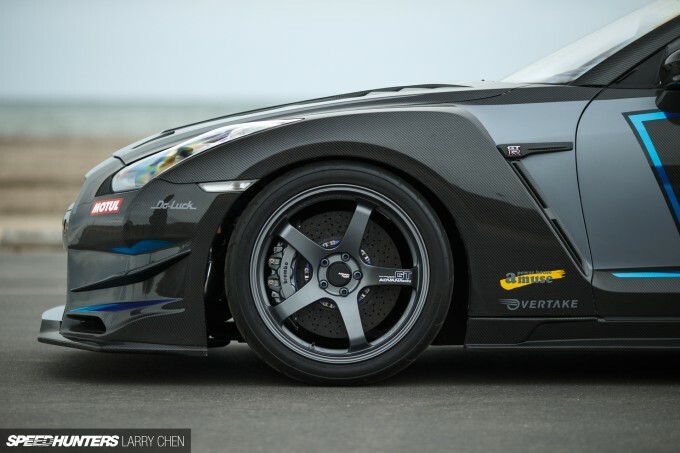 Rather than going for the stripped-out racecar approach, the goal was to have something that would retain all of the GT-R’s road-going refinement and creature comforts, while at the same add sense of nimbleness and response not found in a stock GT-R. This balance between weight and comfort would prove to be the core concept behind the build. 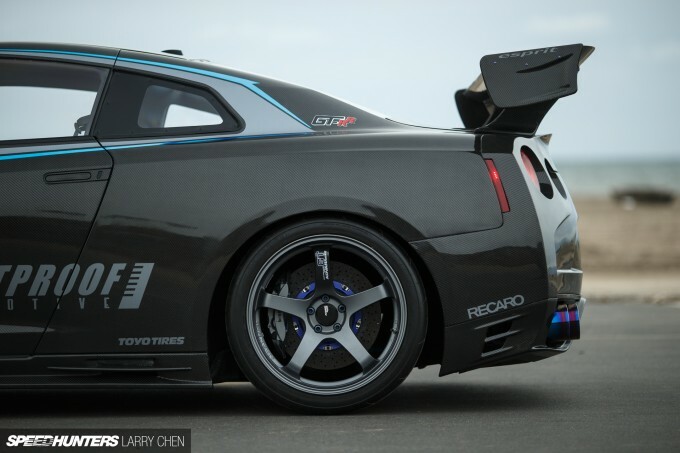 Fortunately, Bulletproof has built relationships with some of Japan’s most well respected tuning houses and among this list of partners is Overtake – the makers of the all-carbon GT-R that Dino drove last year. Having seen what Overtake was capable of, Ben knew that a full dry carbon conversion would be the perfect starting point for his plan of trimming lots of weight without compromising on comfort. 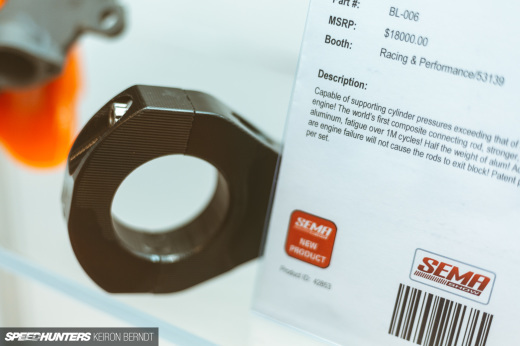 And so Bulletproof specced out a complete Overtake dry carbon conversion and soon the parts were on the way from Japan to the company’s home base in Southern California. If you read Dino’s story about the Overtake GT-R in Japan, then you’ll know the carbon conversion is as thorough as it gets. Among the lightweight dry carbon parts fitted to the car are the hood, front bumper, front fenders, doors, rear quarter panels, rear bumper and just about every other body component you can think of. Out back, the Overtake package is matched with an Esprit dry carbon GT wing with titanium mounts. Aside from from the big parts on the exterior, many of the smaller components inside the car have also been replaced with carbon equivalents for max weight savings. Lexan windows help to shed even more pounds. 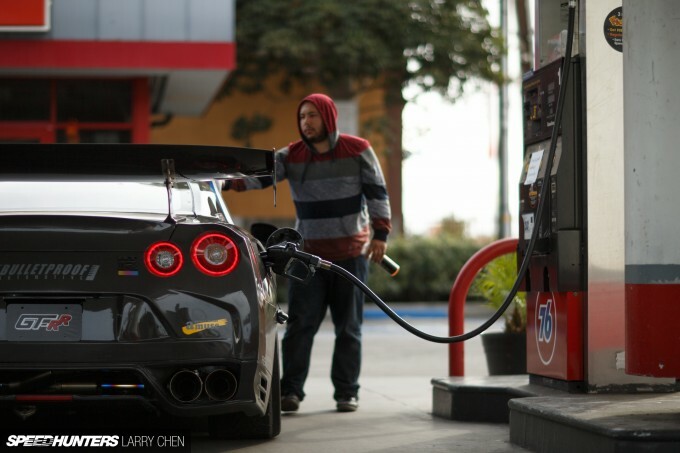 It’s all part of the attention to detail and balance that defines this GT-R. I mentioned a moment ago that from the beginning the idea for the build was to retain the GT-R’s comfort and refinement. But when it came to the interior, Bulletproof actually improved the car’s luxury factor, and by a large degree. 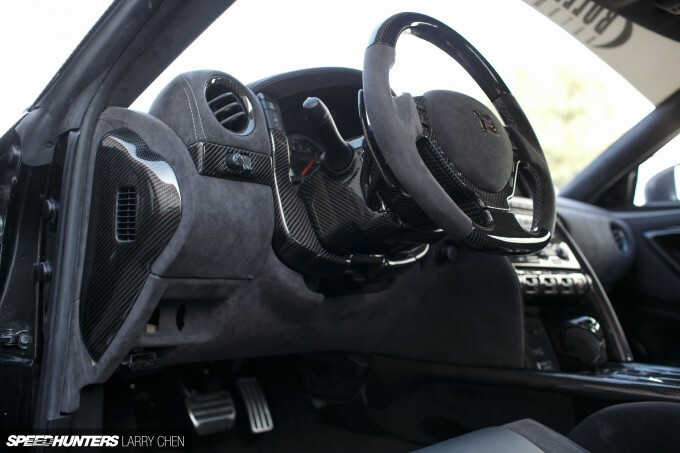 The entire cockpit has been refinished with gray and black Alcantara upholstery, which gives the Nissan the feel of a European exotic rather than a Japanese performance car. The thought was, if the rest of the car was going to be running a full array of exotic and expensive parts, then the interior should be improved to match. 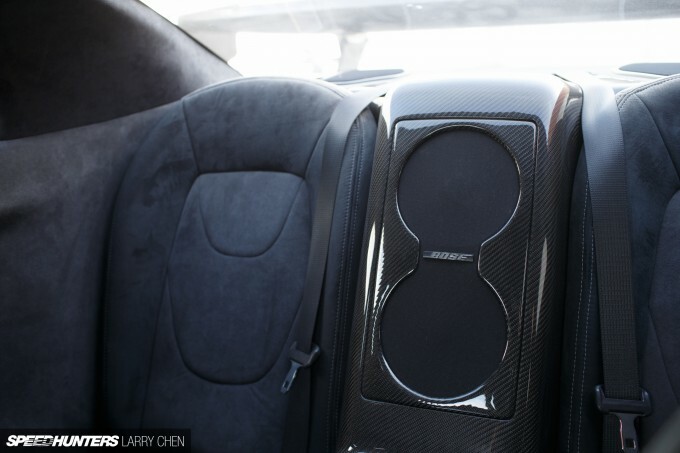 Aside from the high-end trimming, the cabin also features a pair of Recaro SR-7 seats for both the driver and passenger, and they fit perfectly with the rest of the car’s interior treatment. 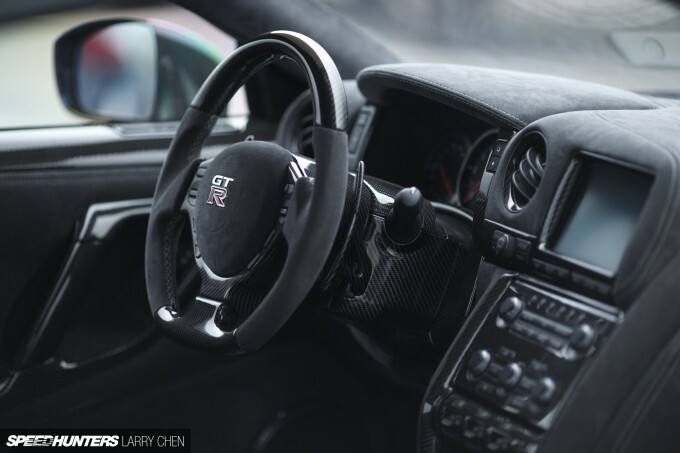 Even with the more luxurious interior, the car still tips the scales some 375lbs lighter than a stock GT-R, and that’s a significant difference – one that betters every area of the car’s performance and greatly improves its agility and the driver’s excitement level. What about power you ask? Well, the goal with the GT-R SPL was never to be a horsepower monster, but that doesn’t mean that the VR38DETT has gone unaltered. The engine has actually been fitted with Bulletproof Automotive’s SPL power package. The details of this upgrade are still secret, but let’s just say it makes for a solid increase in power without impacting on drivability. 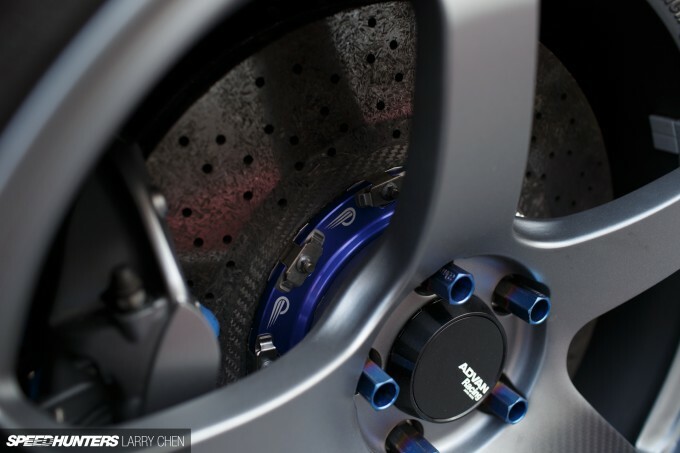 Aside from that, the car is equipped with a number of proven tuning parts from Japan, including an Overtake Saikou 100-V exhaust by Powerhouse Amuse and a GReddy front-mount intercooler kit. While more thorough power upgrades haven’t been ruled out for the future, a big part of the build was being able to create something very fast and very special without having outrageous horsepower. It’s all part of the balanced approach that you see so often with Japanese tuners. And of course you can’t talk about balance without addressing the suspension and brakes, which on this car are handled by a set of Overtake/Sachs dampers and an Overtake Carbon SL brake package respectively. 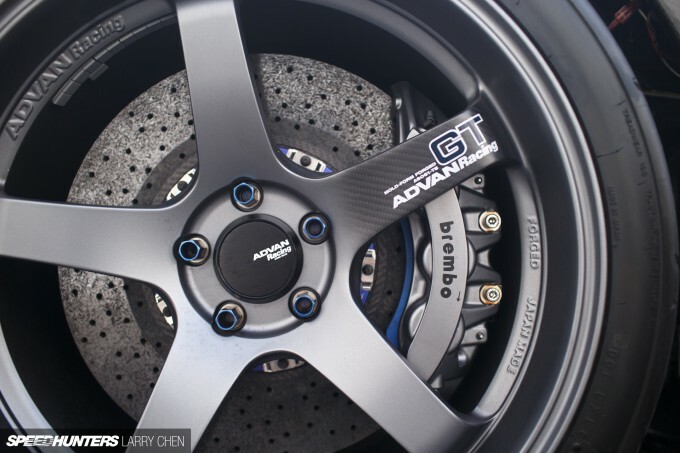 The exotic, weight-saving brakes sit behind a set of 20-inch Advan Racing GT wheels with Toyo R888 tires. It’s hard to think of a much better combo than that in terms of both style and functionality. For now the plan with the GT-R SPL is to proceed with some small tweaks while dialing in the suspension setup on the track and in the canyons of Southern California. Eventually, the hope is to take the car to Germany and conquer the Nürburgring, just as Bulletproof did with their FR-S in Japan. 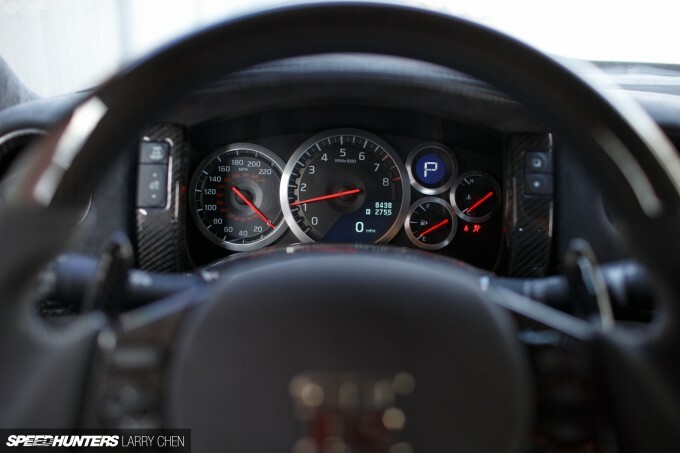 So yes, the GT-R is a car that is incredible right off the showroom floor. But as Bulletproof and its international partners have shown with this project, there’s always room for improvement. 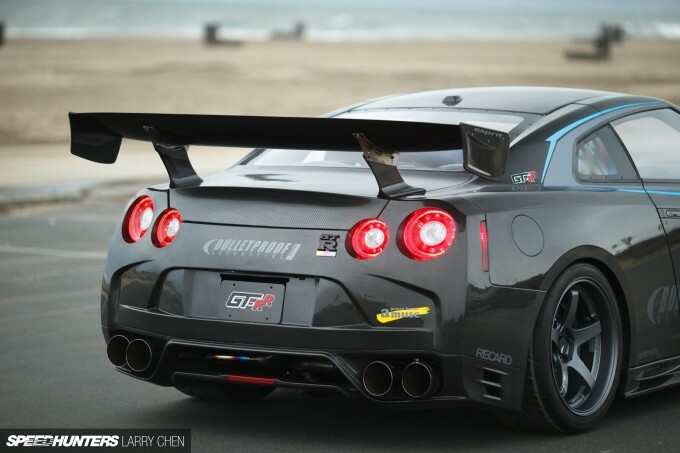 What’s not to like about a GT-R with a lot less weight, more power, and some exotic touches both inside and out? There will always be something cool about taking a car that’s already great and making it significantly better. kamenkachev article mentioned that they shed 375 lbs, didn't it? So who have actually built the car? As I understand BP auto just source parts? Top Secret and other actually builds the car ? This car should be as important as the Amuse Carbon R in 04'. About time somebody took action on the weight of the 35.
seven grand for the intake, i need a better job. 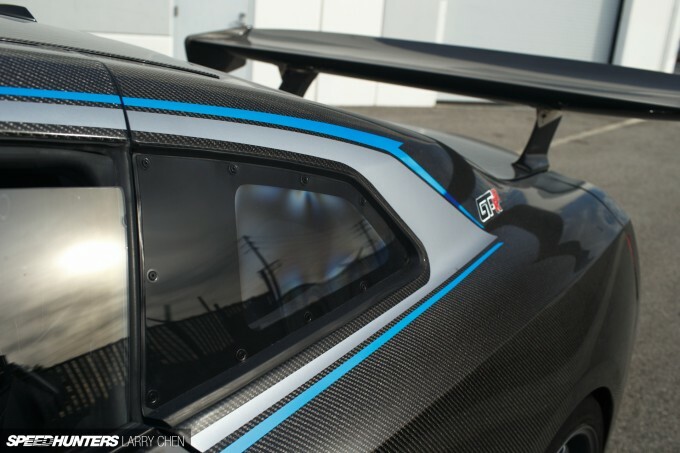 I hate when they put so much carbon panels on the car, then forget about everything else... could have saved another 48 lbs with real carbon fiber buckets to match the exterior, could have gone big single exhaust and saved at 20 lbs, if titanium at least 30 lbs. Could have removed the carpeting, took out sound deadening for maybe 30 lbs, throw carpet back in. there thats over 100 lbs that could easily be removed if they put the effort in. cjhcjh Thanks for your question and I'm happy to answer. 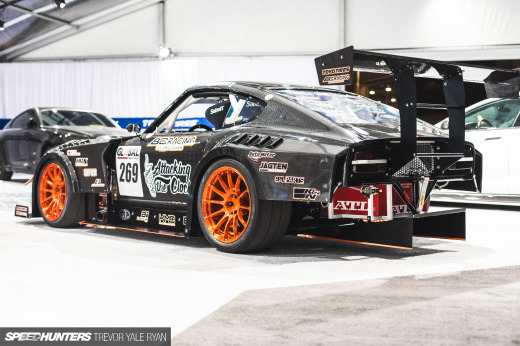 The transition from distributor to custom car builder officially began at SEMA 2007 with the debut of the Bulletproof S2000 GT with Toyo and has evolved gradually since then. kamenkachev part of me feels like this might be more carbon for the sake of carbon. Thankyou!! They got rid of that heinous plastic catch can and replaced it. That was the biggest gripe for me with the Overtake GTR Dino did. The engine bay was gorgeous.... then that can. This is all round awesome. AlexLobanov Thanks for your passion Alex and thanks for commenting. I love when people can see a car and feel something, anything and that it makes their mind run with their own creativity. Thank you for sharing and thank you for letting our project inspire you to write a response of your suggestions. In reply, indeed we would have done all of that you mentioned if we were looking to build a race car (which it would appear would have been your goal for your own GT-R). 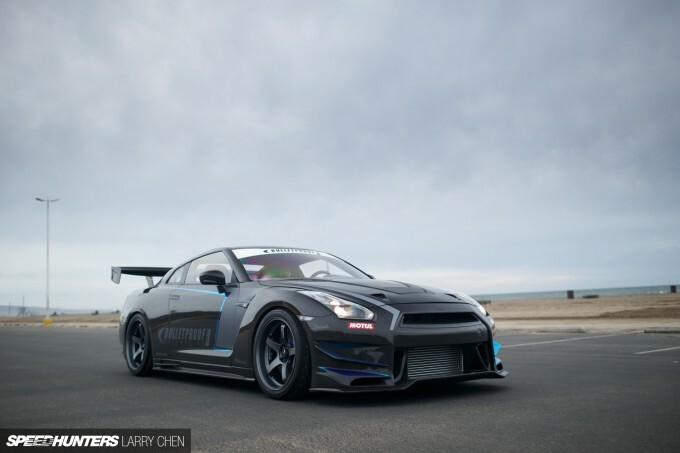 However, our goal was to build the GT-R SPL project which you see here. SPL stands for Street, Premium, Lightweight. 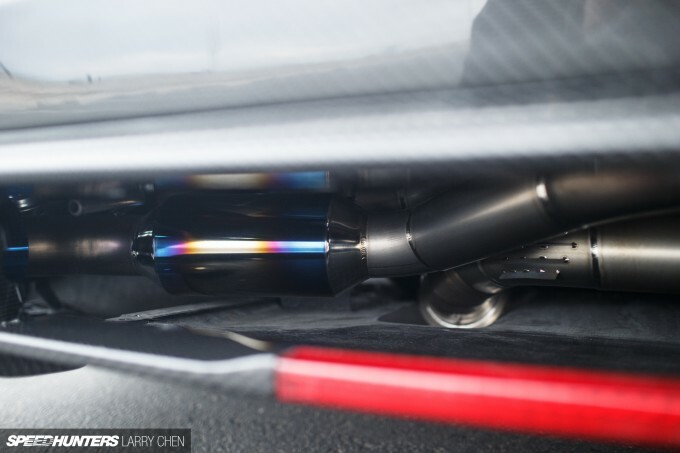 Things like exhaust tone were important to us (the exhaust we use is valvetronic, amazing sound, no drone and full titanium so still lighter than many race systems). Things like sound deadening and comfort were important to us so we didn't strip out the car and we did not install fixed position seats (instead we added more weight on the interior and made the most comfortable seats we know of). To be honest, buying off the shelf race buckets and removing things would have been much easier and less expensive too, it just would not reach the result we wanted. In fact we could have gone up into the 500lbs weight drop range if we were after producing a race car but that was never the point of this project. Our FR-S Concept one (featured prior on SH) is another example of this. Each car has a clear vision and that vision here is to make a no compromise, all around high performance street car much like our inspiration Horacio Pagani creates. If the approach were to build a one dimensional race car then in either case we absolutely would have approached it differently from the start. 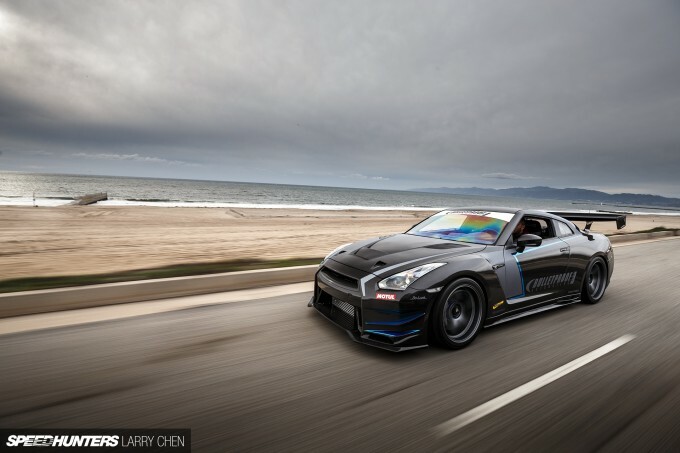 I would love to do that for a client...however for this car it is us who are the client and the car was conceptualized for what I personally feel is a perfect GT-R to drive in all scenarios. Chris 'Haffy' Hafner You have captured my heart with this comment. Thank you very much, it means a lot to me personally. Tanabe-san's Carbon R was an inspiration for me back when he made it and I had the pleasure of being out with him during the peak of his career, before his untimely passing. 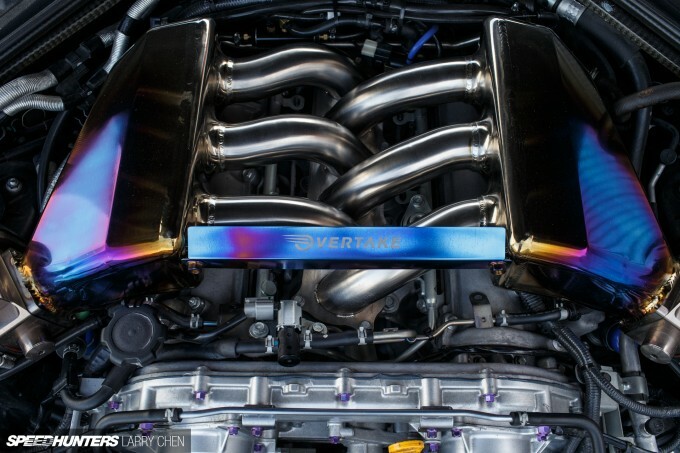 We were with this car at Tsukuba back in '04 and it certainly played a serious role in shaping how I feel about tuning. Matsui of Amuse has continued on that legacy that Tanabe san set forth. I have to say that I remain inspired by the use of lightweight materials to make a car more nimble and higher performing without the typical downsides that accompany upgrades in other ways. Weight reduction, if done responsibly, is perhaps the one mod that has all upside and no downside (besides budget challenges). 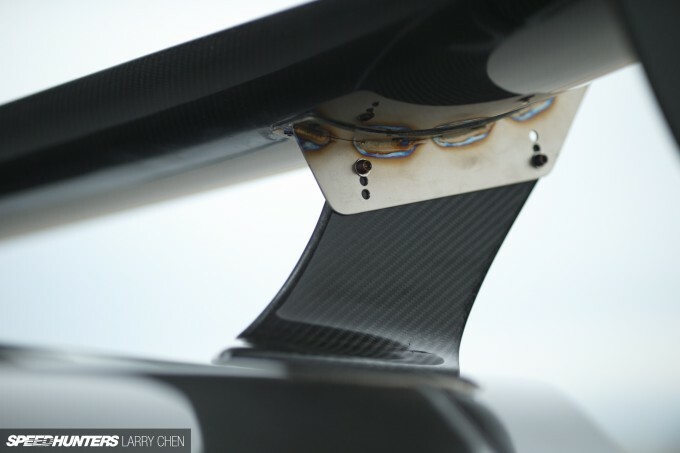 on carbon fiber everything, don't forget the basics. Especially when you put "lightweight" in the name. Thats just my opinion. Ive never heard of lexan being used on a street car, however. That part intrigued me. AlexLobanov Ben Schaffer I see where you are coming from, however there is no point debating which exhaust tone I feel is best since I choose the exhaust I felt sounded the best for me to drive (to me the Amuse exhausts always sound the best so I use them on all of my builds despite them costing more than other options). Same goes with seats...to me the SR-7 is the most comfortable seat I've ever used in a street car (aftermarket seat), if I'm doing on a long ride I prefer that versus Tillet which is the bucket go to option for GT-R owners typically. 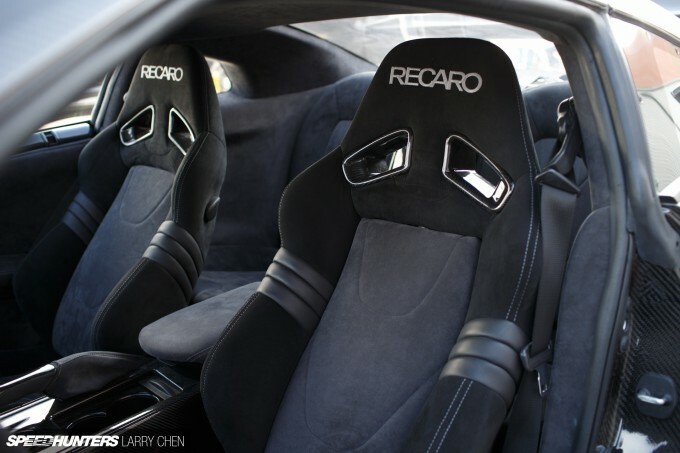 I've used RS-G Recaro buckets on my S2000 and they are good for that car but i would not want to sit in a RS-G for 7 hours. A SR-7 I would. As for sound deadening, its just personal preference there but I happen to like that the car feels refined and like a GT-R just more enhanced. But I get that you would do it differently, that is indeed the beauty of custom made cars...it is really about pleasing the goals of the owner and I'm sure you make your cars the way you like them to be as well. As for lexan, if I'm not mistaken it is found in rear windows of various cars like the Lamborghini Superleggera. On my GT-R the windows still retain their power functionality despite being lexan. I learned that one years ago from working with Top Secret who sometimes use lexan while keeping power window functionality on street cars. Ben Schaffer AlexLobanov Point taken. Out of curiousity what thickness lexan did you use, and how much weight did you save? A stock GTR without any diet is terrifyingly quick, and absolute fun for a toy, this is a whole different level that is beyond my current dreams.. The distributor that always acts as though it actually does anything but market and network parts. In the latest Super Street it even details this speaking to not having anything "in-house" because it doesn't make sense. Stop acting like you're on the same level as Top Secret, JUN, Mines, Blitz, HKS, etc. Chris 'Haffy' Hafner An all time classic Time Attack car! Stunning for time it was build. 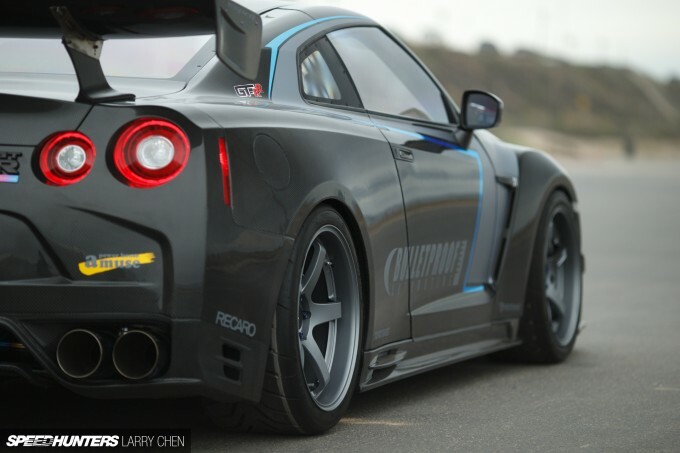 This must be one of the few R35s that i really like! Dear Santa. I know what i want to my present but i have a little purpose...CAN YOU GIVE IT TO ME NOW!?! Dont really like the car but... That titanium goodness!! @someoneintheindustry, As much as I love the "industry" of which you are anonymously as you say in, the part which I do not like is the part where people frown on collaboration and expect an "every man for himself" attitude of companies which is what dominates conversations like the one you introduced. The theory you propose appears to be that a shop is less legitimate because they collaborate with other industry companies who are experts in their field versus a shop that collaborates with nobody and keeps all of the profit from their work in house. This is a theory that I think limits the harmony in the industry (and also produces cars motivated by profit rather than advancing the art). I am not here to critique shops that have a goal to do everything in house and partner outside to nobody, if it works for them then that's great but I do not believe that is the only way nor do I believe that it is the best way for the end result unless we are talking 100mm+ size companies. Examples you give like Top Secret are a good one because Nagata-san I've seen first hand often brings in outside help to assist with his builds on electronics, tuning and various other experts (examples being Neko corp and Naakarai who is a brilliant mechanic who works freelance...not to mention they outsource their parts production, yet they get my full respect as I believe they should for most people despite not doing 100% in house). In the case of Bulletproof a decent amount of work is done in house on our builds (we had 20 or so people hustling 24 hours straight to finish 4 cars for SEMA last year), but the decision of how much or what to do in house is not based on seeking maximum profits it is based on seeing maximum results. If we feel we can do it best we will as we've done recently with our in house carbon fiber production business for Tesla. We certainly have lifts, capable staff, tools and means to do many things ourselves across many automotive disciplines. Yet we usually prefer to find the best industry partner we can bring in to each project and oftentimes that partner will do the work on our premises (speaking of which, thanks Adan, Marco, Damian, Randy, Isela, etc). Our goal is the end result, the means are not designed for feeding our ego by saying we did everything ourselves with no help from others, nor is it designed to pad our bank accounts by cutting out our valued partners and doing it all ourselves in house at cheaper hourly rates, the means are for ensuring the end result is the best vehicle we can make. We want to only be judged by the end results of what we create. If we can do it better in house we will, if we can do it better with an outside partner we will pay them their rates and do the job right. The fact that this makes us under attack by you is something that speaks loudly to the theory that there are those in the industry that maintain a "me vs the world" attitude and that discredit shops that willingly partner with others and don't claim to be the best at everything all by themselves. As long as I lead Bulletproof I do not want the company to take this attitude that you feel is required to be legitimate. If partnerships and collaboration make Bulletproof weak in your eyes, I do not wish to convince you otherwise moreso than this written response. What we do at Bulletproof is not for feeding our ego and not for bragging rights, it is to make great work that we are proud of and to do so by any and all means available to us. Although I appreciate your comparison of referencing Bulletproof to industry leaders like HKS and large manufacturers like Blitz, we have no desire to be like those large manufacturers. They lead brands that are only HKS or only Blitz, we lead our brand in one of collaboration with others. It is not better or worse, just a different philosophy and different goal. We like unity, collaboration and friends that share in our vision much more than isolated achievement. In fact we have no desire to be like anyone but a continually improving version of ourselves. After Ben's above comment I couldn't remember how long it had been since the tuning world lost a true innovator of Japanese Performance Tuning, Hideki Tanabe. What I found perfectly and wonderfully defines everything that is awesome about our little niche fanatical hobby. Dino and Ben sharing their feelings on the loss of an important legend in the tuning world. Just very cool that jobs, websites, and projects come and go... but the friendship and passion built around the performance of beautiful machines remains the same over the years. Tanabe's passing was a very sad day for everyone connected to the industry. But seeing this car, I think it's safe to say were going to be sweet. Cheers GregoryS eejjkk ben schaffer for the comments guys, just makes a point on how special Tanabe and the Carbon R really are. Wow, not a single wrong step taken. The upgraded interior looks the business! And those Advan's! And those Recaro's! Ben Schaffer AlexLobanov If you were to strip out the interior, sound deadening, etc, how much weight do you think could be saved in total? Could the car get down to ~3000 pounds? Great looking car... needs to be stripped more though... Speakers?! get them outa there, just for starters..
AlexLobanov Ben Schaffer I use 3mm sheet of lexan and it is great. Very strong. But they all scratch if you are not careful . You can use 2mm for fixed windows (rear) or 4 mm for the driver/passenger doors, to have less flex. they have BOTH my nuts for it. Pure win! Thommo did you even read the article. "The engine has actually been fitted with Bulletproof Automotive’s SPL power package. The details of this upgrade are still secret, but let’s just say it makes for a solid increase in power without impacting on drivability." Huh? Sorry, I don't blindly lay down $$$ if I don't know the modifications to get me the advertised HP. airforce1 The Bulletproof engine package is not for sale yet and still in early development so please don't worry, nobody is selling it yet. That was a good find. Thank you for sharing Dino's tribute. Here was one I had made back in '08. You might find interest not in my words back then but in the 33 comments from other enthusiasts who had something to share about what Tanabe's life meant to them. As you say - friendships and passion remains. Most people who choose this career do it for the satisfaction of creating something special and sharing that special thing with others who appreciate it as well. In most cases people pass up better paying careers to do this and the truth is that money comes and goes but the art form lives on. The people whom we are lucky to meet and influence in any way be it big or small carry that legacy forward. It does not matter if it is one or a thousand, spreading passion and inspiration is something that benefits all and unites people from all walks of life around something that bridges our differences. Does the door retain side crash beam? 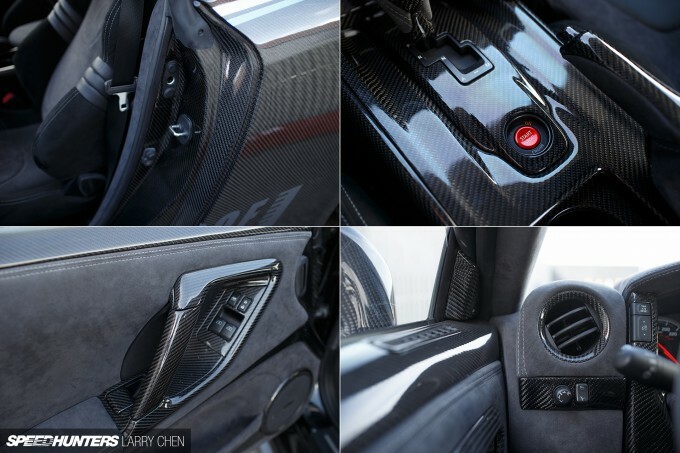 Brian Ang Yes these particular dry carbon doors do have a crash beam type of support inside the structure however regardless of having the extra reinforcement the properties of an impact with dry carbon when it comes to doors are inherently not as safe as OEM metal. The way I see it, this car is still more safe than driving my '72 Skyline (or compared to people who get thrills riding motorcycles or other dangerous hobbies). We all take our risks, what matters is that we are aware we are taking them and we are making informed decisions to endanger ourselves for things we love to do. that interior looks on point! just a right balance of Carbon and Leather! My has off to you guys at Bulletproof. Whether you turned the wrenches or simply captained the whole show, it's your name on the door and this is my favorite R35 yet. Stunning execution of concept. Great article. If you’re looking to sell a used car, check out http://caracceptance.com/sell-car-chicago/ these guys are the best way to http://www.caracceptance.com/sell-car-chicago in the business- they make it so easy to get rid of your old car, and they give you cash on the spot. this car looks too modified... it is ugly, it looks like someones individual project and not something that will interest enough people in normal life. i bet people think the guy driving it is a dickhead with too much money to keep his mind occupied when they see it go past them on a normal road. the carbon fibre look is so try hard, just like the now dating matt black paint. AlexLobanov Ben Schaffer I dont know all of the thicknesses but the windshield is 6mm. So far I've had no problems with scratches however time will tell...By my calculations we've saved 40lbs switching all glass to Lexan on the car. KrzysztofPiotrowicz That would be like me saying "you're just a stupid, loud-mouthed Polack." High subjective, conjecture, and ill-informed comments that do you no good. AlexLobanov Put the effort in??? They rebuilt the whole car!! Don't forget that the whole idea was to make it lighter and more nimble while keeping it refined and comfortable. Removing sound deadening brings road noise and takes insulation away as the deadening material does both. Don't get me wrong, you do raise some good points with the buckets and the exhaust system but saying they didn't put the effort in is going a bit far. As with everything, there is always room for improvement but I think they built a really nice example of this car. After all this is a street car, not a track only car. Ben Schaffer Ben, any idea when the bulletproof engine package WILL be available?